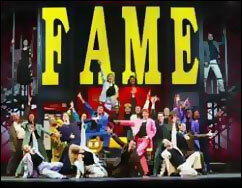 `Fame -- The Musical' will live forever in high schools everywhere. David DeSilva, creator of 'Fame - The Musical,' said the show isn't about fame as much as it is about being transformed by the arts. Pirouetting through the hallways of a New York City performing arts high school in leg warmers and off-the-shoulder sweat shirts, the feisty Irene Cara emblazoned the taste for Fame into every little girl's hot-pink '80s heart. But dancing on taxicabs and ``making it'' was not necessarily the message Fame 's creator David DeSilva was trying to send. ``It's not that I'm pushing kids to be professional performers,'' DeSilva said. DeSilva, known to his fans as ``Father Fame ,'' has made the story line of struggling performing arts school teens something of a cottage industry for himself, as the creator and executive producer of the 1980 Oscar-winning film, the long-running television program, and the reality show, all of which are called Fame . Improving on the finer points of the film, DeSilva has finally taken the cult classic to the stage as Fame -- The Musical , coming Tuesday and Wednesday to Cleveland's Palace Theater. ``It's really gonna live forever as live theater,'' he said. ``I don't think the movie or the TV show really captured it the way the musical does. It's not the same as it is on the stage, where no two performances are the same and young people all over the world can do it,'' DeSilva said. If you go to the show expecting to hear Hot Lunch or to witness a Cara-incarnate named ``Coco,'' you'll be much surprised because Fame -- The Musical is not a stage-mounting of the original film. In fact, even the diverse group of characters within the musical have criticisms to air about the movie. With a whole new arsenal of songs, thanks to lyricist Jacques Levy and composer Steve Margoshes, and characters courtesy of writer Jose Fernandez, Fame -- The Musical is being performed everywhere from off-Broadway to Norway and from professional theaters to high schools. DeSilva said that the intention of creating the musical was to allow enough flexibility for every director and young actor to put his or her own stamp on the show's flavor. But a few things do remain the same: The iconic theme song, Fame , is still present along with the 1980s leg warmers and the trials and tribulations of everyday teen life. ``I decided to keep the musical set in the '80s, because I wanted this to be the story about the last class to graduate from the old school building before it moves to a more modern building in Lincoln Center,'' DeSilva said. DeSilva first created the story when he became fascinated by the idea of magnet schools, particularly New York City's LaGuardia High School of the Performing Arts. ``I believe these magnet schools are really the best thing in education. If your kid has a special talent, they can receive special attention for that and really make the most of it and not just in the performing arts, but computer science, or whatever it may be that someone excels at,'' he said. Since the advent of the first Fame incarnation, magnet schools, and particularly performing arts schools -- dubbed `` Fame schools'' -- have skyrocketed in popularity. ``There is at least one performing arts school in every major city, and when we made this film, that just wasn't true. It's amazing how many performing arts schools are everywhere, now,'' DeSilva said. For DeSilva, the most crucial aspect of the New York run of Fame -- The Musical is its adjoining apprentice program for high school juniors to get a taste of professional theater. DeSilva also hopes to make the show an annual event at performing arts high schools around the nation. He is already in discussion with the LaGuardia High School of Performing Arts to kick off the program with a performance at the end of this year. ``I wouldn't have created any other show like this,'' DeSilva said.